Windows 8 only improves on the foundation that was laid with Windows 7. The same hardware that powers Windows XP, Windows Vista and Windows 7 works incredibly well on new devices as well. Windows 8 designers knew that they would have to put together a platform that would work with Windows 7 apps, and so, Windows 8 was born. 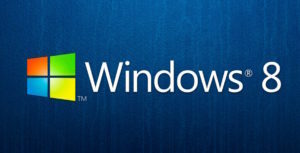 When you sign in to your Windows 8 device through your Microsoft account, you can take comfort in the fact that you are now connected to the information you need to get the job done. Your PC immediately works with your Start page, themes, language preferences, browsing history, and browser favorites. In the Windows Store, browsing has become even easier, as the apps you have gotten familiar with in Windows have been grouped in easy to find categories. Software Development gives you the quick access you need to frequently downloaded apps and lets you browse easily and securely for the apps you want. You will never buy something you don’t want because there is the option to try before you buy. It just depends if your device supports the app requirements.